Yesterday I was substituting for a social studies teacher. Exams are over and most classes are killing time until the literal end of the school year, which invites worst expectations regarding behavior for a sub. But I've gotten pretty good at this, and with basically good kids things rarely go wrong. This class was watching the movie Gladiators, which is entertaining enough but contains almost no real history. (Read the Wikipedia article for a critique.) Joaquin Phoenix, who plays Commodus, was obviously using Marlon Brando as his model (unfortunately the worst, mugging Marlon Brando). So knowing that Marlon Brando might as well have been a character in Shakespeare for all these kids would ever have heard of him, I tried to elicit his name indirectly by working my way to a movie they might actually have seen on DVD. Eventually I got to The Godfather, which at least yielded Al Pacino. Movies bridge the generation gap if any cultural form can, so it saddens me that these young people have not had exposure to The Waterfront or A Streetcar Named Desire. They'd enjoy it, I'd enjoy it, it would provide points for an interesting discussion, and maybe the school could spring for the popcorn. Re: Should every high school have a film club? -- BTW, Streetcar, good as it is, is flawed by the fact that it softens the edginess of TWs dramatic masterpiece. The fact that the Grey boy's "offense" in the movie is writing poetry like Tom Wingfield instead of cheating on Blanche with an older man blunts the impact considerably. Last edited by jserraglio on Sat Jun 16, 2018 8:10 pm, edited 1 time in total. If the initiative comes from the students, if they want a film club and will make a commitment to it, then the school should back them. My various schools had no such thing, but all three had a theatre club and put on at least one show every year. (Once it was Clifford Odets's "Golden Boy.") Seems to me much more worthwhile; doing theatre is active and you learn things about public performance and indeed about life, while watching movies is passive and depending on the movies of course, the students could spend their free time more constructively. Of course if the film club had some faculty guidance and instead of the Harry Potter and Terminator movies the kids watched Bergman, Fellini, Truffaut, Lean, Kubrick, then they would learn something they couldn't get in their local movie house, unless it's in New York. But that might kill the club. But one showing of "Persona" or "Cries and Whispers" and the kids would probably stop coming. Of course if the film club had some faculty guidance and instead of the Harry Potter and Terminator movies the kids watched Bergman . . . . But that might kill the club. But one showing of "Persona" or "Cries and Whispers" and the kids would probably stop coming. Clubs like ours are led by freethinking kids in no need of a steersman to keep their ship clear from the Scylla of "Harry Potter VI" and the Charybdis of "Terminator II". Watching a movie is passive if you compare it to putting on a play, just as watching a play is passive when compared to producing a film from scratch. And making a film is probably just as fulfilling as creating a new play, and arguably a lot more creative than simply staging somebody else's. Students today have the wherewithal to do both. Couldn't agree more!! Your school sounds like a very good one. Since film is the modern equivalent to the novel for most young people it stands to reason that they ought to be able to 'read' them and understand what's going on. More importantly, they need to be able to identify when they're being propagandized and manipulated. I absolutely refused to show my students films they could see themselves at the Megaplex. In year 10 I showed a middle-bottom class "The Man with the Golden Arm" when our unit was exploring drug addiction. The reason I chose it was because of that brilliant scene with Sinatra having severe withdrawals - in no way did it 'glamorize' film addiction (none of them had ever heard of any of the actors). One girl complained, "miss; this is old and in black and white". I replied, "no fooling; I thought it was colour! But seriously, we can spend the lesson doing written comprehension if you didn't like the film". "Oh no, miss - it's OK". Towards the end of the film that same girl (hardened and streetwise) turned to me with concern and said, "is he going to be alright miss?". It was then that I realized that if kids trust you then a teacher can show them anything at all and they'll go the extra mile. Jbuck; that end of year after exams etc. is a nightmare not just for substitute teachers. I used to show (older) films and explore themes and techniques. One year I showed "El Dorado" - a cheesy western with John Wayne. The kids didn't have much exposure to westerns and I tried to explain to them that, despite the guns, they're really costume dramas. One dear young man said to me, "I loved that music in the film, miss" and another came up to me after the class and said, "miss; I think this is the best lesson I've ever had in my years at this school - thank you". They caught on to the values expressed in the song at the film's beginning. Howard Hawks: an absolute life hero of mine! Leigh Brackett wrote the screenplay for "Rio Bravo" and she complained to Hawks that she was actually writing the exact same story for "El Dorado". Hawks looked at her and said, "Oh well, if they don't like it tell 'em they can have their dime back!". So, yes, bring on the film club!!! John F: those art films you mention would be aversion therapy to the average high school student. I only set "Roshomon" for Year 12 (matriculation) and a unit called "Comparative Texts: Telling the Truth", getting away with it by the skin of my teeth. Agreed. The film club at our school, however, does screen films like the Bergmans that JohnF mentioned. Those kids are genuwine film buffs. For my part, I take a middle path between art-house fare and escapist fare in the intro course I teach to 16-18 year-old boys. I once screened The Seven Samurai as an experiment (intending to pair it with The Magnificent Seven), but their eyes glazed over. Fortunately there was a bright red STOP/EJECT button on the playback machine. The students rate every film I show, thumbs up or down, and review every other film, (they are screened in pairs or triplets). Any film they overwhemingly 'diss' is consigned to the dustbin of history in the next course cycle, no matter how much I might admire it. I am able to find plenty of other good films of some substance that are suitable for their age and level of experience. This fall, for example, I will begin by screening two very recent movies: Black Panther and Get Out. We will discuss a bit of filmic technique, the audience aimed at and the social context of each film. Afterwards, each student will write a review in proper format in which he evaluates one of the two films. Then, in groups and using standard filmscript format, students will be asked to collaborate online and create a scene to be inserted into one of two films. Finally, that online scene will be printed out and the contributing members of the group will present a dramatic reading. I have never tried basic storyboarding before but I might, if the group is receptive--the more advanced IB film guys are mandated to do that for the film shorts they produce for external assessment. At the end of the course, the students will freely choose any two movies not already screened, defend their choices and in an essay persuade me to include their choices in the next iteration of this course. Sounds like you've got excellent things happening there with your students. I've done storyboarding with my students and they seem to enjoy that and learn to understand how film is constructed. Mine you, I have no experience in the digital media with cinema and have no idea how they're put together. Probably more like television; I really don't know. When I worked in television documentary film-making my job was continuity, script preparation, talent, contracts, locations...all that sort of thing. And I'd often sit in on the editing. My most 'recent' films I studied with students were "The Birdcage" (back in 1999) with a boofy class of working class boys..."this is about poofs miss...". I told them to 'hang in there' and after 30 minutes they were hooked and absolutely love it. "Play it again, miss"!!! Then "Billy Elliot" with 13-14y/o - which they thoroughly enjoyed too. And another favourite of mine "In the Name of the Father" - again, the students were gobsmacked by the film. I did often think of holding after school film clubs but, honestly, the workload I had in those last years which included running the school debating team was unreasonable and ran me into the ground. When I left my senior class set up a screening of Hallstram's "Chocolate" for me because they knew I (then) liked Johnny Depp and they'd gone out to the wine district to buy handmade chocolates for us to eat during the watching of that film. For me, with boys it was always the call to the emotions which was the biggest hurdle to overcome - same with literature. They pushed it away because they didn't want to appear vulnerable or emotional in front of their peers. But I've seen the toughest kids crack under the emotional strain of a simple anecdote I told them about the development going on around where I live at that time. Hundreds of trees were bulldozed and it was spring and all the young birds were still in their nests. The adult birds were frantically looking for their babies after the trees had been felled. The kids were brought to their knees by that anecdote!! "Oh miss, that's heaps sad", said one of the toughest. Unfortunately, Belle, though I have the time, it's not the case around here that I can just approach one or more of the number of schools where I substitute teach and volunteer to start a film club. There are issues of contracts, stipends, stepping on the toes of full-time teachers, etc. Anyway, finding it an interesting idea does not make me the most qualified person to do it. In recent years I've fallen way behind both in the backlog and in worthwhile current releases. Only myself to blame for that. Not to mention "Who's Afraid of Virginia Woolf?" I teach both Virginia Woolf and Streetcar every year, the plays along with the movies. Once taught Streetcar to 9th-grade failures in summer school. They liked it a lot. Both good films but they'd never pass muster at the comprehensive school where I taught. Or most in the surrounding district, come to think of it. But I taught "The Red Shoes" to a Year 11 preliminary matriculation class in a unit I devised called "Appropriating Texts: the Make-over". We started with Ovid's "Pygmalion and the Statue", then Rameau's "Pygmalion", then Shaw's "Pygmalion" then films along the same thematic lines. "Vertigo" and "The Red Shoes". Only 5 bright students (1 of them a male) in the class and absolutely no complaints. Where I teach, which until very recently was a comprehensive school not just college prep, one group and only one sets the curriculum — the faculty working collaboratively thru their departments. No one ever talks about academic freedom, we just assume we have it and act accordingly. Most of the movies I screen in my film course are R-rated, parents are given a list of them everytime I meet with them and they must sign a permission slip for any child under 17 who signs up to take the class. In 12 years I have never had a parental complaint. Next year I will teach the class to about 40 students, in two sections. Those films are based on play texts that are works of literature in their own right. (I have read two versions of how Edward Albee felt about the film, one in which he liked it and another in which he did not). There is nothing wrong with that, but of course a cinema program would involve more than filmings of stage masterpieces. One might even start with The Wizard of Oz. I learned the hard way once that kids don't have one of the greatest movies of all time memorized the way you and I do. As for your next comment, j, you refer to a "comprehensive" school, I assume because Belle is a citizen of a BC country. I'm sure she knows that we call that a public school in the US, while the Brits reserve that term for what we call a private school. 1. Streetcar and Woolf are plays I teach and films I show in IB & AP English, not in Film Studies to which movies based on literary works are cordially not invited. I was responding to the notion that these movies are unknown to students today: in fact, the source plays of these flicks are among those recommended by the AP Lit curriculum and appear regularly on the national exam taken by hundreds of thousands of students each year. 2. Far from having it memorized, I have never, even as a child, seen the Wizard of Oz flick. Instead my film course leads off with the hair-raising, dystopian Get Out of 2017, then seques to the upbeat utopian Black Panther (2018). 3. I think an intro film-appreciation class need not necessarily concern itself with the greatest films of all time. The oldest films in my course originated in the late 80's and 90's, the rest during the students' own lifetime. 4. By 'comprehensive', I mean a school not exclusively college-prep — heard the principal use the word in that sense just the other day. And our school is private, not public. Last edited by jserraglio on Mon Jun 25, 2018 6:23 am, edited 3 times in total. "Comprehensive" in Australia means a standard-rated public high school with all levels of ability, as opposed to "selective" which is entered by examination. Private schools range from Catholics (which all my 4 attended), and other religious denominations, or private but identified generically as 'christian' - which run the most exclusive private schools in the country. Here is arguably the most exclusive schools in Australia for boys: the fees are absolutely astronomical. A limited number of scholarships are offered each year by all the exclusive schools to students whose parents could not afford the fees. And here is the most exclusive school for girls: one of my friends from the ABC attended that school as a boarder and hated it!! In our comprehensive school we were officially not permitted to show "R" rated films by order of the Department of Education (though I know teachers who did do this occasionally through the permission note system you describe). I did show sequences of probably R-rated films to 15y/o when teaching about editing; comparing the steps scene in Eisenstein's "Battleship Potemkin" with the Grand Central scene in de Palma's "The Untouchables". Probably crossed the line there, but the scene lasted only 10 minutes so I didn't bother with a permission note. I know of one case where a student was not permitted by his parents to watch an "R"-rated film after the issuing of a permission note. He was sent to the library during the lesson. Thanks. The permission note for R-rated movies was entirely my idea, to engage a couple who had not attended the initial meeting. No one mandated it from above—and I only had to require it once. When I raise the issue of moral suitability openly with parents, they mostly give me a condescending smile and say they know their son is not that fragile. A public school AP teacher once told me he wouldn't think of teaching the comic Kurt Vonnegut novel on my reading list for fear of possible blow-back from parents, administration or school board. I pointed out the irony that a Catholic school teacher would find himself less constrained than he was teaching in a state-run secular school. My concern with the "R" rating on films was the use of violence, not explicit sexual scenes (which I wouldn't show anyway; it would be too embarrassing for me in front of teenagers!). In Australia the Catholics have more constraints in these matters than the public system, not less. My permanent position was in a state school but after I left full time employment I briefly did some casual stints in the Catholics (after my kids had left!). I was amazed at the improvement in class behaviour and the quieter atmosphere in the school in general. Each classroom had telephones where you could contact the front office instantly, if you wanted. In the state system they appointed 'messengers' from the student body each day to do this running around. I found little difference between the staff in private and Catholic, except that it was much easier being fired in the latter system. For any in-servicing of the English syllabus we would often attend huge conferences in Sydney (in our own free time!) and I was always extremely impressed with the quality and knowledge of teachers from those more exclusive private schools. Most teachers I knew wanted to work in these types of schools, but I'm sure the work expectations would be stressful beyond belief. Sitting on a train quite recently in Sydney I overheard some girls from Abbotsleigh (a very prestigious school for girls) talking about the film they'd viewed that day for English. These were Asian students and one piped up, "it's very nice to watch a film but shouldn't we be concentrating on what we're doing specifically for the HSC?". (Higher School Certificate - entree to university.) I rolled my eyes at my husband and whispered "what a wonderful change from 'put another video on, miss'!!" Many of the films I show in Film Studies are extremely violent, Ben Affleck's Gone Baby Gone for example, but, as in the Iliad, that film's graphic violence is not gratuitous but serves the larger purpose of raising moral issues about child abuse. The violent scenes also help break thru that tough-guy emotional wall you spoke of earlier and generate empathy. I do not apologize for the study of film, as though it were some sort of academic stepchild. It is a cut above sterile standardized test prep of the ACT, SAT and AP variety. Instead, it opens a window on the world we live in, its narratives are deep, complex and multidimensional, and it transmits a blend of pleasurable and disquieting intellectual and sensory vicarious experience. Last edited by jserraglio on Sun Jun 24, 2018 8:35 pm, edited 1 time in total. I have steered away from film violence, as I said, because the kids have enough exposure to it already. But if your experience is different then that has worked for you. One of the best ways to reach teenagers (especially boys) is to first gain their trust, then they'll walk the extra mile for you. And I always spoke about film as a wonderful art form which also had many films unworthy of that moniker. "Billy Eliot" was a film which moved both boys and girls in junior high school. As I didn't and still don't see really many modern films myself (my colleagues did) it wasn't useful for me to try and teach them contemporary cinema back then. Some of the best films I've seen in the last few years were "American Sniper", "Gran Torino" and "Million Dollar Baby". A rusted-on Eastwood fan, I love his tough guy meshed with repressed empathy characteristics. My son tells me "Letters from Iwo Jima" is one I should see too. And there's quite a bit about the Catholic faith in two of these films. And I wholeheartedly agree with your eloquent description of film in your last paragraph!!! I completely agree. Every teacher has to do what works for her. The denigration of the study of the greatest art form of our time is so old-hat these days when film study programs are proliferating that even the redoubtable Mr. Thomas Gradgrind might sneer at such a notion. Eastwood's Gran Torino (his penance for his misspent youth playing the lovable rogue, Dirty Harry?) is screened in my course every year, as is his masterpiece, Mystic River. I have also used off-and-on Million Dollar Baby (wonderfully disquieting ending) and Unforgiven ("We've all got it coming"). Clint Eastwood is a first-class filmmaker of the vanished school of John Ford: "The story is king," Eastwood says. "The least disappointing American icon I ever met", Sean Penn says of him. The tsunami scene that opens Hereafter is an overwhelming cinematic experience, as is the movie as a whole. I sat in the theater afterwards stunned by its power and thinking this movie is by an auteur. And The Bridges of Madison County—what a little gem of a picture! Pauline Kael said she lost it at the movies. I wonder why it took me so long to find it there. Pauline Kael sometimes got it completely wrong!! If you start me talking about film I'll never stop!! Apropos the great John Ford; I have read the stunning biography by Joseph McBride and can thoroughly recommend it for any Fordian. I have lots of film books; technical, historical and biographical on my bookshelves. Clint Eastwood's "Dirty Harry" films were super violent and largely confectionery, but I did enjoy "Play Misty For Me" (though in some ways a flawed film). Another favourite film made in the last 20 years was Sophia Coppola's "Lost in Translation". As I said, I don't go to the movies very much at all and usually catch up with things which interest me when they turn up on TV or subscription. And who can ever forget "About Schmidt" with its down-to-earth humour overlaying sadness and abandonment and also "As Good as It Gets" with the wonderful JN!!!??? .... 'Carol the waitress meet Simon the fag"!!! And the misanthropic Udall sitting at his piano in tears incredulously observing his own grief "over a dog"!!! I wouldn't know about Kael. Never read her reviews. But the very title of her famous collection, I Lost It at the Movies, captures for me film's seductive appeal. I too thought Lost in Translation was a wonderful film. Believe it or not, I had never heard of Scarlett Johansson at the time. Bill Murray is also good in St. Vincent (2014) opposite Melissa McCarthy and Naomi Watts. I use that one in my course, paired with another sweet flick, Little Miss Sunshine (2006). A story about Sunshine. I showed it in 2007-8, back when I had first started teaching film. Sunshine was the last film of the semester, and I hadn't come close to finishing it. Only the final exam now loomed. In lieu of a final, students had to turn in a 2,000-word persuasive essay on any three must-see movies of their choice. All the seniors had already done that and were graduated and gone. Only 4 juniors attended the 90-minute exam period, and as soon as they handed in their papers I told them they were now free to leave and to have a great summer. But what about the rest of the movie? they asked. I was incredulous but fired up the DVD player and we kicked off the summer sitting in school finishing Little Miss Sunshine. That's when I first realized, film is open sesame to the mind and heart. Last edited by jserraglio on Mon Jun 25, 2018 5:39 am, edited 2 times in total. Brilliant!! Our Toni Colette was in that film. And turning to television, what did you think of a fabulous series "The United States of Tara" brilliantly scripted by Diablo Cody. It was a cracker of a series and there's been nothing like it before or since. And, also, speaking of "Cracker" - the British TV series about a forensic psychologist starring the ABSOLUTELY incredible Robbie Coltrane. A must-see series. I have seen Colette in other things I can't bring to mind right now. I was struck by her unconventional radiance as the harried mom in Sunshine. Embarrassed to say I sorta fell in love with her in that one. I'll also never forget how students reacted to Steve Carell as a suicidal gay Proust prof. After admitting I was clueless as to who he was, they looked at me as if I was from another planet: How could you NOT know who Steve Carell is! Where have you BEEN? I am not familiar with the other things you mention, since I don't watch much TV. Never had access to TV growing up. But I'll make a list. I've never given this much thought, but on reflection it seems to me that the purpose of extracurricular activities goes beyond keeping the kids moral after school. At my schools they were always about work that developed skills and was put before the public, if only the fellow students, and thereby prepared in some way for life after school. Sports, band, chorus, debating society, science society, dramatic society, etc. were the ones available. What skills would a school's film club encourage students to develop? I suppose making a movie, or a video, would serve, but a bull session after watching a movie not so much. Writing a paper or giving a lecture would be more like it. One of the library volunteers I'll be seeing this afternoon is a retired high school principal, and if he knows of any film clubs in the schools he used to run, maybe he'll tell me about them. In our school and in many more schools these days, film production (coupled with theory, history, discussion, written & oral analysis and criticism) has become a curricular activity offered as an elective. The program is heavily subscribed. Curricular film study has pretty much eliminated our need for an extracurricular film club. Out of the Garden — a short documentary about Syrian refugees who have resettled in Northeast Ohio. — From January to May of 2017, 23 International Baccalaureate Film students at St. Edward engaged in a rigorous process to document the refugee crisis as it pertained to Greater Cleveland; we participated in an extended survey of what makes for effective and ethical documentaries, researched the complex nature of the Syrian Civil War, and trained with digital video and audio equipment that would enable us to capture the stories of our resettled neighbors. In addition to that, student films are externally assessed by film teachers worldwide as part of the IB diploma program. Last edited by jserraglio on Tue Jun 26, 2018 4:24 am, edited 3 times in total. That's interesting and ambitious. To me, documentary filmmaking seems more like journalism than anything else; I've just seen Frederick Wiseman's "Ex Libris," about the New York Public Library, and while it is imaginatively and beautifully made, I don't really think of it as cinema. On the other hand, constructing a film out of spontaneous interviews with ordinary people is obviously more doable than making a dramatic movie from an original script or an existing one, using actors and getting into all the complexities of studio production. My colleague at the library said his schools had no film club or program, and he didn't know of any elsewhere in the system. The drama club had two branches: one for doing theatre, and the other for going to see plays in NYC and gathering to discuss them. That might work for film too. The film students make way more dramatic films than documentaries. Here's one I picked mainly b/c I know most of the production crew. Whatever its flaws, it surely qualifies as cinema. I think documentary filmmaking involves a lot more than just journalism. It is an artform unto itself. I couldn't disagree more. A documentary, if it is honest, is determined and constrained by the relevant facts, however artfully it is made. Nothing constrains "The Seventh Seal" but Ingmar Bergman's imagination and skill. Making a documentary can be a good training exercise in filmmaking, but it's in a different and lesser category. Lots of folks would disagree with you even more on that one, including those who for art's sake alone rank this infamous sports documentary among the greatest movies ever made. For students, documentary filmmaking, over and above the constructive skills involved, brings a lot of intellectual and ethical questions to the table that one can simply ignore in dramatic filmmaking. That's why I think the SEHSFilmStudies instructor had his students tackle a documentary. Furthermore, for our IB students, whether or not documentary is a cinematic art form is in fact a moot issue, since the International Baccalaureate calls for original drama with a written script. AFAIK, a student is not permitted to present a documentary based on interviews for her final diploma project. Last edited by jserraglio on Tue Jun 26, 2018 3:24 am, edited 1 time in total. Completely agree with js; Leni Reinfenstahl is widely regarded as one of the world's greatest film-makers and her "Triumph of the Will" eventually put her on the international film-making map despite its subject matter. Let's not also forget that Italian neo-realism as a film movement was constructed in documentary style to convey earthy realism. Likewise "cinema verite' relies upon the camera as storyteller just as it did for Hitchcock. When the Office of the Coordinator of Information (predecessor to the Office of Strategic Services and later the Central Intelligence Agency) was created by Franklin Delano Roosevelt before the United States' entry into World War II, Toland was recruited to work in the agency's film unit. Toland was commissioned as a lieutenant in the Navy's camera department, which led to his only work as a director, December 7th: The Movie; this documentary of the attack on Pearl Harbor, which Toland co-directed with John Ford, is so realistic in its restaged footage that many today mistake it for actual attack footage. This 82-minute film took the 1943 Academy Award for Best Documentary, Short Subjects. The Academy of Motion Picture Sciences has special classifications for awards in the art of documentary film making. Making a documentary can be a good training exercise in filmmaking, but it's in a different and lesser category. Alan Resnais's Night and Fog (1956) is less cinematic and belongs in a lesser category than a Bergman film simply because it is a documentary? I don't think so. Wikipedia wrote: Jacques Doniol-Valcroze wrote in Cahiers du Cinéma that the film was a powerful work comparable to work of artists Francisco Goya and Franz Kafka. 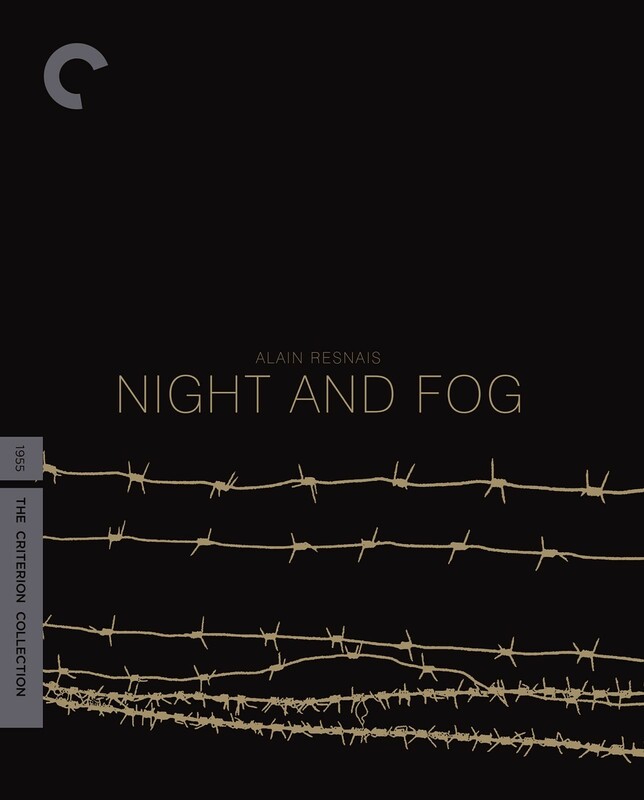 Criterion Collection wrote: Ten years after the liberation of the Nazi concentration camps, filmmaker Alain Resnais documented the abandoned grounds of Auschwitz and Majdanek in Night and Fog (Nuit et brouillard), one of the first cinematic reflections on the Holocaust. Juxtaposing the stillness of the abandoned camps’ empty buildings with haunting wartime footage, Resnais investigates humanity’s capacity for violence, and presents the devastating suggestion that such horrors could occur again. Last edited by jserraglio on Tue Jun 26, 2018 5:57 am, edited 3 times in total. My colleague at the library said his schools had no film club or program, and he didn't know of any elsewhere in the system. I found it difficult to believe that in the 21st century NYC, a major film center of higher-education and a mecca for filmmaking, would offer nothing in the way of a film program to its own public-school children. New York's public schools do have academic programs of instruction in the creative and performing arts. (Remember the TV series "Fame?") LaGuardia High School of Music & Art and Performing Arts is across Amsterdam Avenue from Lincoln Center. But this has nothing to do with our topic, which is film clubs, an after-hours extracurricular activity. If an experienced and knowledgeable educator from that school system says he knows of no such programs, believe him. Let's keep our eye on the ball. I'm astonished to find Leni Riefenstahl put forward as the creator of documentaries that, for you, qualify as artworks. Insofar as "Olympia" is a true record of an event, it is not comparable with cinematic works of the imagination, however much it's dressed up with imposing or pretty imagery. (And let's not talk about "Triumph of the Will.") Even if one accepts the claims for Riefenstahl as an artist, which I've always thought exaggerated, not everything an artist produces is art ipso facto. It's the art that defines who's the artist, not the other way around. This discussion long ago expanded, peripherally, beyond the topic's original limits. More than whether a school should have an extracurricular film club, I'm interested in whether such clubs, once established, would (maybe even should) morph over time into full-blown curricular film-studies programs. Discussions go where they will. Focusing on the ball need not exclude viewing the field of play. Film scholar Mark Cousins notes in his book The Story of Film that, "Next to Orson Welles and Alfred Hitchcock, Leni Riefenstahl was the most technically talented Western film maker of her era". When traveling to Hollywood, Riefenstahl would be criticized by the Anti-Nazi League very harshly when wanting to showcase her film Olympia soon after its release. Reviewer Gary Morris called Riefenstahl, "An artist of unparalleled gifts, a woman in an industry dominated by men, one of the great formalists of the cinema on a par with Eisenstein or Welles". Film critic Hal Erickson of The New York Times states that the "Jewish Question" is mainly unmentioned in Triumph des Willens; "filmmaker Leni Riefenstahl prefers to concentrate on cheering crowds, precision marching, military bands, and Hitler's climactic speech, all orchestrated, choreographed and illuminated on a scale that makes Griffith and DeMille look like poverty-row directors". Charles Moore of The Daily Telegraph wrote, "She was perhaps the most talented female cinema director of the 20th century; her celebration of Nazi Germany in film ensured that she was certainly the most infamous". Film journalist Sandra Smith from The Independent remarked, "Opinions will be divided between those who see her as a young, talented and ambitious woman caught up in the tide of events which she did not fully understand, and those who believe her to be a cold and opportunist propagandist and a Nazi by association." Critic Judith Thurman said in The New Yorker that, "Riefenstahl's genius has rarely been questioned, even by critics who despise the service to which she lent it. Riefenstahl was a consummate stylist obsessed with bodies in motion, particularly those of dancers and athletes. Riefenstahl relies heavily for her transitions on portentous cutaways to clouds, mist, statuary, foliage, and rooftops. Her reaction shots have a tedious sameness: shining, ecstatic faces—nearly all young and Aryan, except for Hitler's". Pauline Kael, also a film reviewer employed for The New Yorker, called Triumph des Willens and Olympia, "the two greatest films ever directed by a woman". Do let us start a fund to purchase a DVD of The Wizard of Oz for jserraglio. Of course there are so many films, and so many good ones, that there is no one strategy for presenting them to young people. I would love to hear more about this private school that is not entirely college prep. The only US schools I know of like that (from personal experience) are Catholic high schools, which, for the most part, would not call themselves "private schools." Thanks for offering to pass the hat for Oz, but I already had access to the Wizard flick on TBS. Tried, but could not make it thru, sorry, even though I am a big Garland admirer and a Berr Lahr fan and my parents once dressed me up as the Tin Man on Halloween. I read the book as a boy, and today I would not dispute that Oz is a great film. Last edited by jserraglio on Wed Jun 27, 2018 4:36 pm, edited 2 times in total. It was great to watch those students on Vimeo talking about film!! Sounds like you're doing great work there. My four children all went to Catholic schools of the type run by a diocese which you describe yet all 4 of them emerged as freethinking, intelligent and creative though they do not go to Mass and wouldn't call themselves practicing Catholics. One has 2 children in a christian school, the other is moving his 2 from the state into the Catholic system - both of these boys of mine have successful careers, one in mining the other owns his own winemaking business. Many of the latter's classmates have gone into the top of their fields, one working overseas for Rolls Royce as an engineer. My daughter works in commercial television sports after a career in commercial radio and my youngest son is very senior adviser (head of the team) for one of our country's most significant political leaders. In fact, within the last weeks his politician boss publicly wrote about him in an important government document, "there's not a day goes by that I'm not thrilled that you're the leader of my team". None of them were in any stymied by the system as you described it!! Thanks for the kind words I've done very little to merit. I don't teach IB film studies, which is offered in our school's Film Dept. I teach film in a standalone course of my own design offered by the English Dept. Last edited by jserraglio on Wed Jun 27, 2018 3:03 pm, edited 1 time in total. For me there's a lot of art going on in documentaries-for example Ken Burns. And sometimes there's just no telling what imaginative journey a documentary is gonna take you on. Frederick Wiseman's High School (1968) is at least as imaginative a work of art as Richard Linklater's classic high-school flick Dazed and Confused (1993), and I love Dazed and Confused. And then there is WWII & the Holocaust. Is Marcel Ophüls's The Sorrow and the Pity (1969) or Claude Lanzmann's Shoah (1985) any less a work of art than Steven Spielberg's Schindler's List? I don't think so. Last edited by jserraglio on Wed Jun 27, 2018 10:47 am, edited 1 time in total. I was thinking about this again this morning and, of course, there is the still photographic image which is often the subject of artistry; particularly documentary still images. "Time" magazine used to include some of the greatest still images once a year in its magazine, which is largely a shell of its former self these days. I remember some of those images because of their sheer power - often extremely transitory moments yet simultaneously artfully captured. Absolutely brilliant artistry drawn from real suffering. You've nailed it!! I find some of those images so distressing that it can depress me for the rest of the day. Apropos the first image; I once told a class of kids that I couldn't think of anything worse in this world than a mother not being able to feed her child. You could have heard a pin drop!! I once told a class of kids that I couldn't think of anything worse in this world than a mother not being able to feed her child. You could have heard a pin drop!! The immigration question is a complex and fraught one the world over and I don't want to comment on your political system.